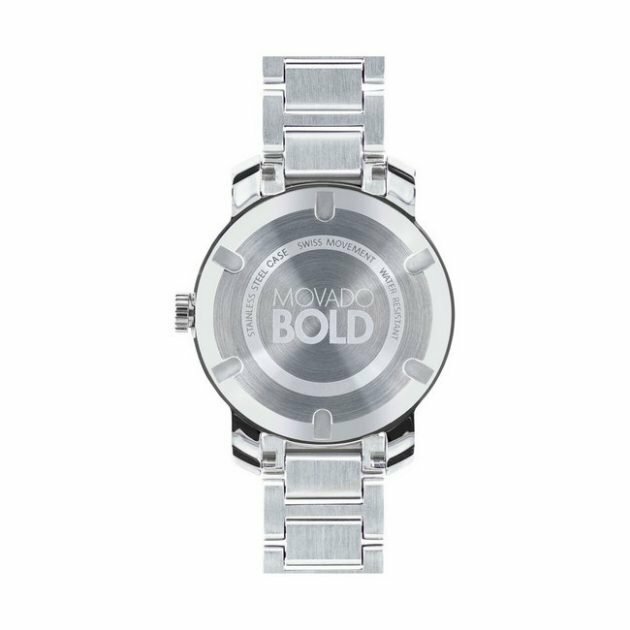 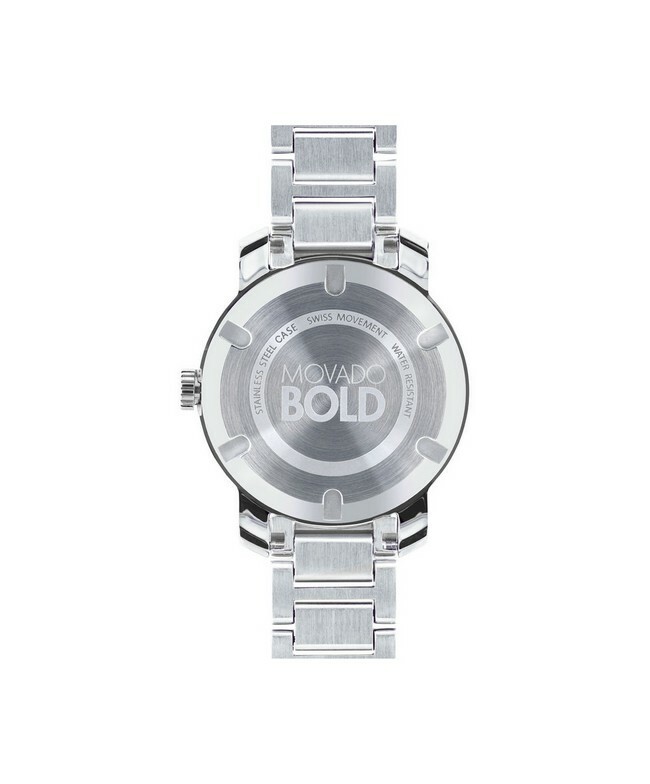 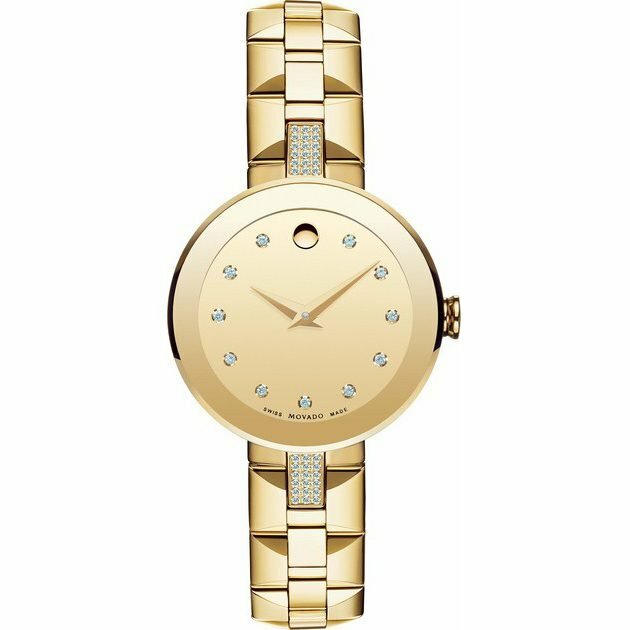 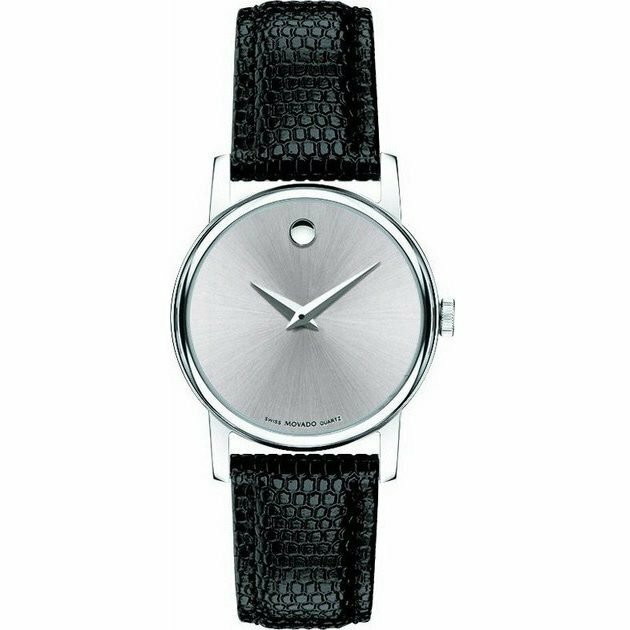 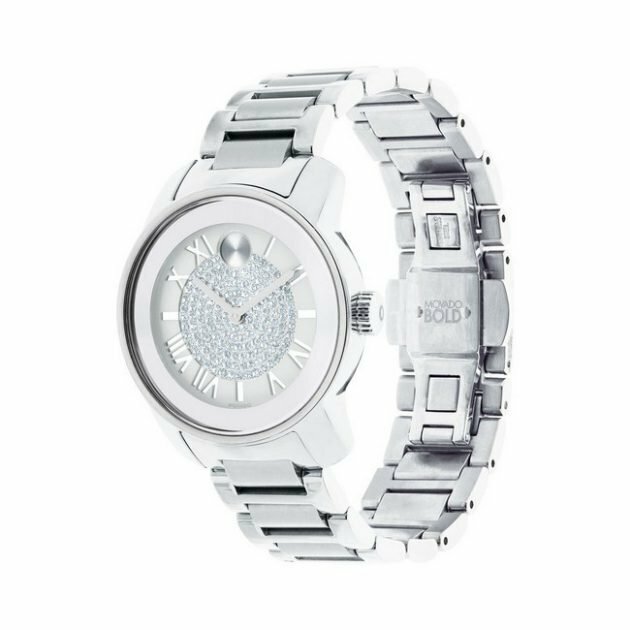 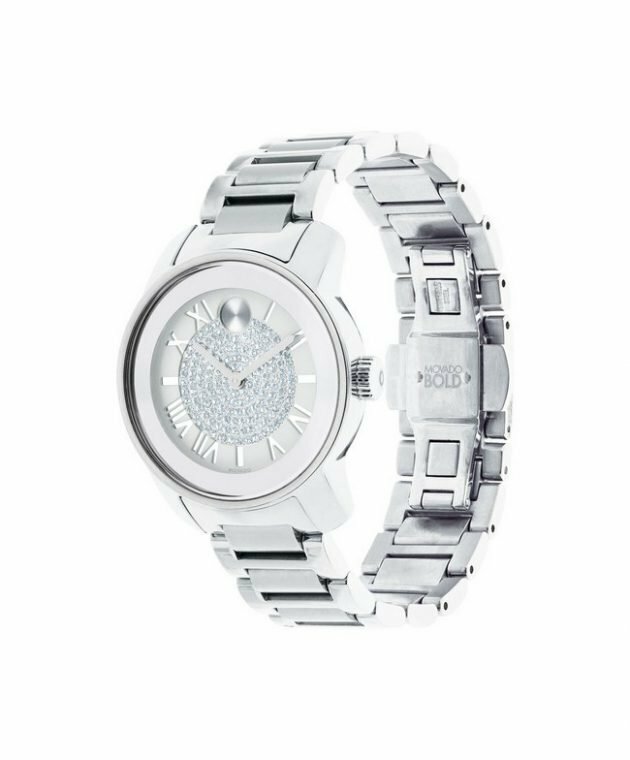 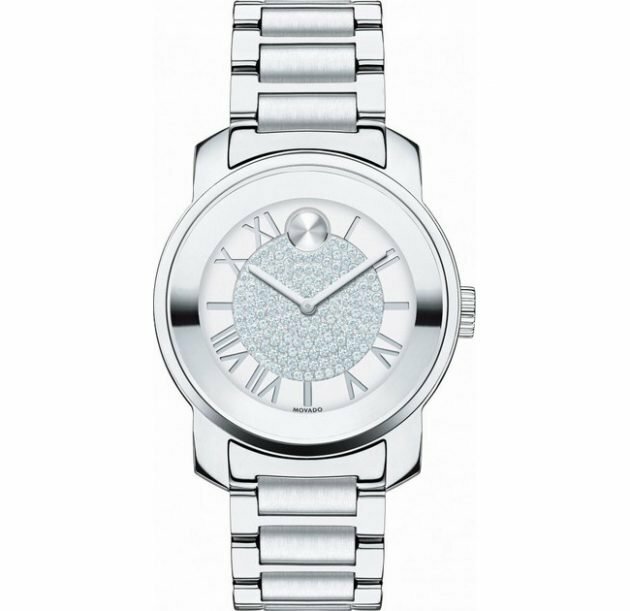 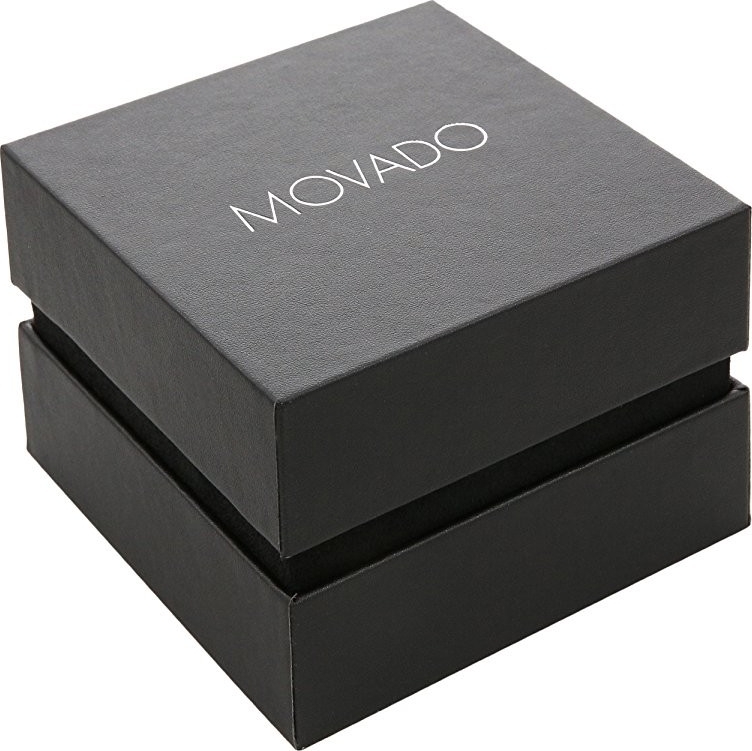 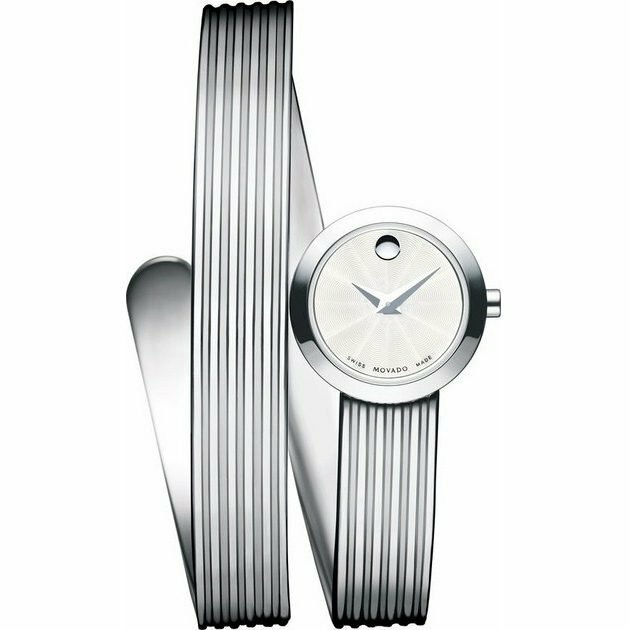 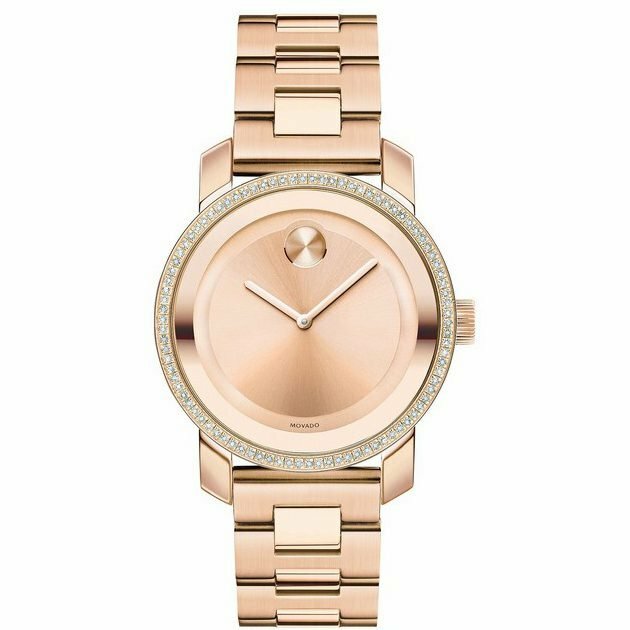 Movado’s shimmering design brings maximum style to this Bold collection watch. Stainless steel bracelet with push-button deployment clasp. 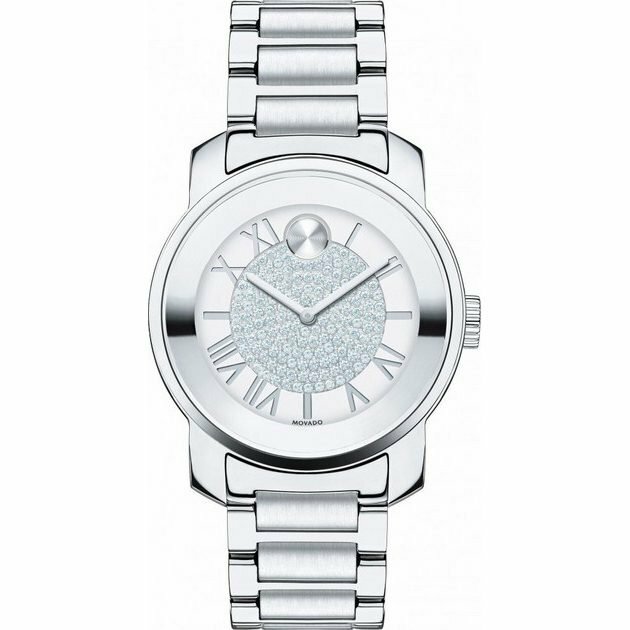 Silver-tone dial with Roman numerals, stick markers, two hands, dot marker and pavé crystal center.